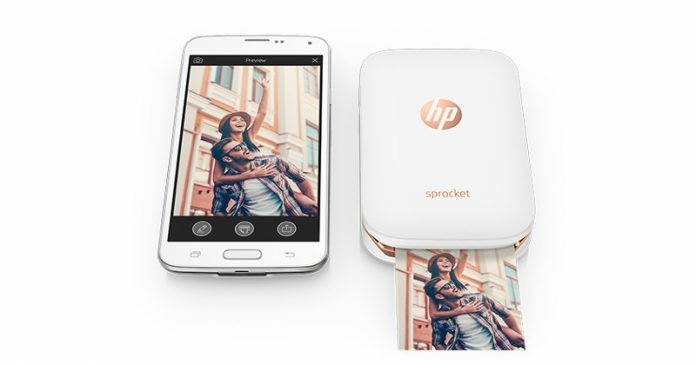 Hp sprocket is a new portable printer launched by HP with the same size and weight of a standard smartphone. 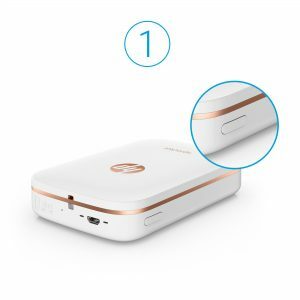 This small printer allows you to transfer on paper your best shots and documents instantly with professional quality, this is the most important change, though, due to the small size 2 x 3 inch (5 x 7.6 cm) it doesn’t allow printing in A4 format. It weights only 170 grams and that’s interesting since it has also a good design that makes it pocket-friendly. The power comes from the Micro USB connector used also to charge an internal battery, while you are connecting it to your smartphone via Bluetooth, using the proprietary HP application, you can edit at any place and every time all your photos. HP sprocket uses a technology called HP Zink Zero Ink so it doesn’t need ink refills like common printers, but you’ll need to use a special paper which is included with the printer in the amount of 10 sheets (you can purchase them from the HP’s website). The paper is inserted once only inside the printer, during its activity it picks up a sheet from the internal stock and prints your photo pushing outside of the front as the printing is performed. HP | SPROCKET :60 Product Video from Kyle Bronson on Vimeo. 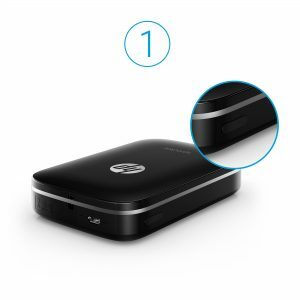 HP Sprocket is available for purchase on the HP‘s site or directly on Amazon. It’s priced $ 129.99 and 20 sheets of the special paper required will cost you 9.99 $. Next articleSamsung starts mass production of 10 nm chips. Chances for Galaxy S8?